Today (3rd January 2015) is the third year of Blog Nina Neulrin Anniversary.Time was passing to fast. I still not believe that my blog already been 3 years now. Even thought, I’m a blogger in 3 years but I still consider myself as beginner blogger. I still have a lot of things have to be learned especially in blogging. I was start write a blog as a hobby with zero knowledge in blogging or anything related with it. Now, I was improving in blogging and photography after I be a blogger. I not have the specific concept for my blog, mostly I was writing about me in day’s life and traveling. 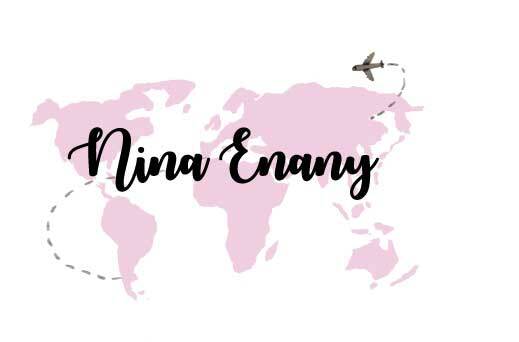 That is what I love to do in my life – Nina Neulrin blog almost like my personal journal in online; which is I can read back the previous great memories of me, just in one place. Now, I have interest about fashion, style, design, beauty, photography, and food after I had reading another bloggers’ blog. I like reading others blog, since I've join bloglovin website; it’s easy to reading others blog update post everyday. At the same time, it’s promoting my blog to others bloggers around the world. I also was feeling so happy when my followers in bloglovin reach almost 630++. Thanks for reading my blog and give support for me to improve my skill in blogging, even thought I not yet think to be full-time blogger. It’s just my hobby. Sometimes, I feel I want to do some project with others blogger; like collaboration project. I hope I’ll get this chance someday. January is my favorite month of one year. It’s because in January, I have so many important events in every year. One of it is my birthday… same month with my Nina Neulrin blog anniversary. Hihihi~ I’m excited to wait my wonderful stories in year 2015. I hope everyone will have wonderful stories in year 2015 too.